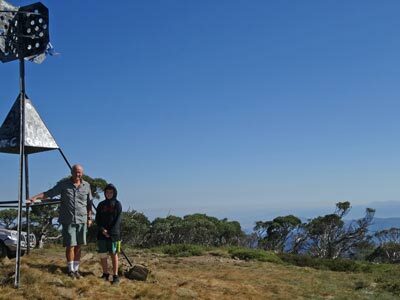 For the past couple of years our neighbour, Gerard, has gone to Melbourne for the Sydney FC versus Melbourne FC on Australia Day (26 January). 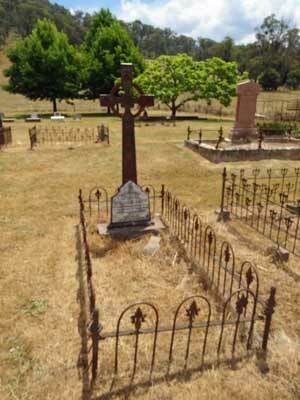 He has taken his son Aidan with him and on the way back, has travelled via the Victorian High Country. Last year we attempted to catch up with him on one section of the trip, but a combination of vehicle failure (brakes) and timing meant we could not. This year we planned the trip early and worked out a plan that would let us see a couple of areas we had not previously visited and also take Gerard and Aidan to some areas they wished to visit and also go via some much harder tracks than Gerard had ever driven on before. This was also to be the first off-road trip using our new Toyota LandCruiser 200 Sahara which we only purchased just before Christmas. 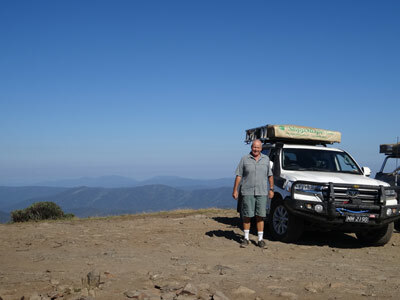 Another friend of ours, diving buddy Gary and his partner Annukka, were also joining us in their Toyota Prado 150 series. Gerard and Aidan were in their new Holden Colorado ute. 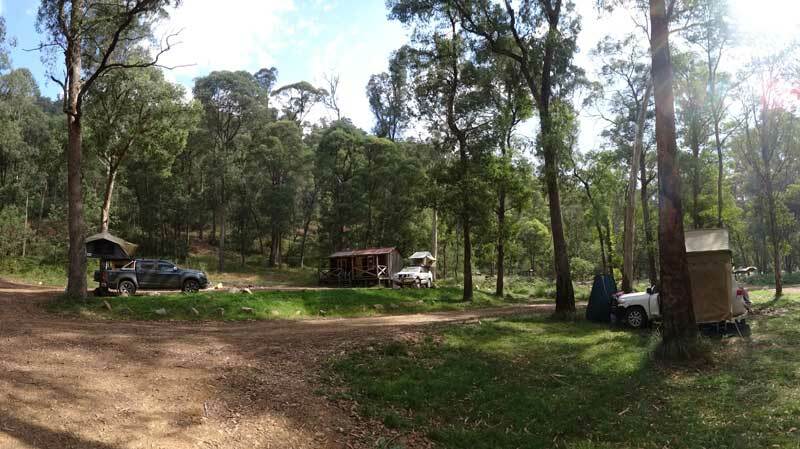 We leave Sydney at 6 am and head down the Princes Highway to Picton Road and then take this across to the Hume Highway. This takes almost the same time as going via King Georges Road to Beverly Hills and then on the M5 to the Hume Highway, but is quite a bit shorter. We stop at the service centre at Suttons Forest so I can get some breakfast at McDonalds (Kelly is on diet eating special food). We get here at 7:25 am. We leave 15 minutes later and as we pull out, Gary calls us on the VHF. He has just passed here. We continue south and pass Gary when he stops for a coffee for Annukka at Marulan. We stop for morning tea at Jugiong (if you do not know about this place, check out our 2005 trip from the main four wheel drive menu. We get there at 9:30 am, having travelled 327 kilometres from home. We are back on the road after morning tea and a toilet break (excellent facilities in the park). Gary takes a wrong turn leaving town as there is only one sign to the highway, but it is for the north-bound side. We end up ahead of him and talk him through the correct route. He catches up to us about 20 minutes later as we sit on 100 km/h instead of the speed limit of 110. Gary also has to stop at Albury to get some chicken as they left theirs in the fridge. We arrange to met them in Beechworth where we plan to stop for lunch. We take the most direct route from Wodonga and pass a new Woolworths which he could have went to. Oh well, it was not too far out of his way to go into Albury. Along this road we have to swerve from our lane as a koala comes onto the road from our left and crosses the road. Wow! We should have stopped but it was a bit tight on the sides of the road. We get to Beechworth and find a spot to stop in Queen Victoria Park. It is 12:30 pm and we have travelled 262 kilometres from Jugiong. We have lunch and soon Gary and Annukka arrive. We wait till they have lunch and at 1:10 pm we head off again. At 1:35 pm we arrive at Myrtleford where we go to a fuel station and fill up. We take 72.4 litres which means we have averaged 11.7 l/100 km. Excellent, considering the speed we have been doing and the fact we have a rooftop tent and are fairly heavily loaded. While we are there, I get a call from the opinion editor of the Sydney Morning Herald. 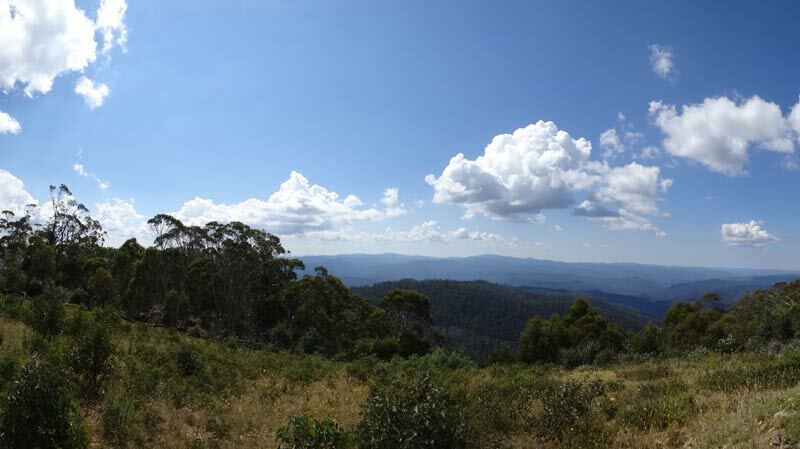 I submitted a piece a week or so ago about the NSW Liberal government's systematic devastation of the NSW National Parks and Wildlife Service. I worked there for 37 years till 2014 when I was made redundant. Since then, hundreds more have been made redundant and huge numbers of positions have had their gradings and salaries downgraded. This does not even take into account the huge budget cuts and the fact that in the 50th year of the organisation, not one thing was done to celebrate it. Anyway, she advises me they are going to publish it in tomorrow's paper. She sends me a revised version (shortened a little to fit the available space) to review and I send them a quickly taken photo for the web site. I also okay the version and give a little bit more to show what the organisation means to me. Click here to read it. On the Monday there are numerous letters to the editor supporting me and on Tuesday when I return home I give an extended interview to ABC Sydney Radio's James Valentine. The Minister appears on Wednesday and pathetically attempts to refute my article. Anyway, at 1:45 pm we head off towards Bright on the Great Alpine Road. At Porepunkah we turn right onto Buckland Valley Road. This is a good dirt road and 16 kilometres along we stop at the Buckland Cemetery. Like a huge amount of the alpine area, there was gold mining around here from the 1850s. The cemetery dates from 1863 and there are quite a few old graves, including one with a headstone made from a slice of a large tree. We stop for about 10 minutes before continuing on our way. 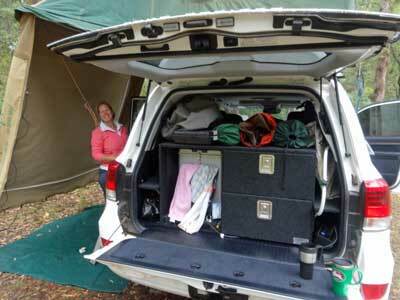 The road stays quite good and we pass numerous camping areas, both formal ones and informal ones. They all look pretty good, but most are quite crowded, although we could have fitted in at a few. 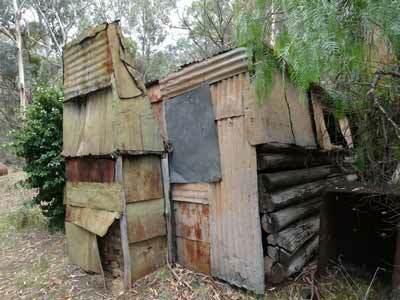 We have decided that we want to get to the last camping area, called Beveridges Station. The road all the way in has been Buckland Valley Road (or Buckland Road). It changes to Selwyn Creek Road at the intersection with Mount Selwyn Track. Along the way we stop and cut wood for the fire tonight. We arrive at Beveridges Station at 3:30 pm, having travelled 682 kilometres today. This is a large camping area and there is only one other group here, right at the north-western end. 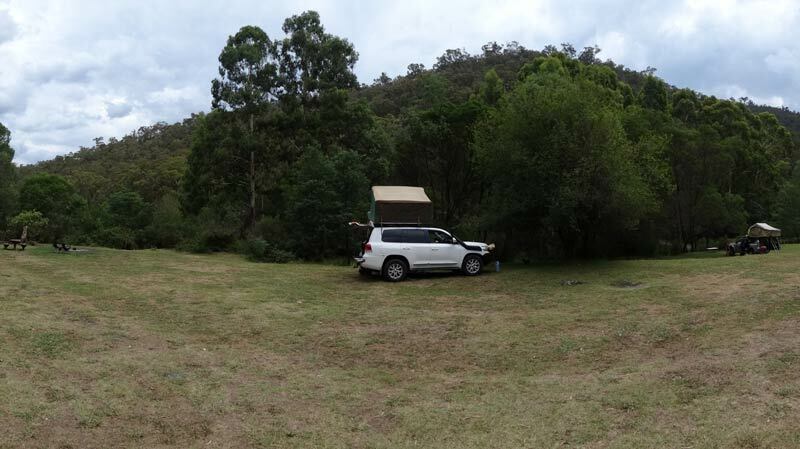 We end up camped by the Buckland River in a nice grassy area. We set up our rooftop tents and then go for a swim (well a lie down really) in the river. It is quite shallow and only a few metres wide. The water is cool, I thought more like 24C, but our thermometer says it is 24C. Anyway, it is nice as today has been hot, 32C maximum and it is still in the high 20s now. After the swim, we read and then have some sundowners. Kelly has cooked a curry at home and we later heat this up and have with rice I made a few days ago. This is a really nice spot. Later on quite a few more cars come in and camp upstream from us. After dinner we sit around the fire. We cannot watch stars tonight as it is now overcast. Earlier there was some thunder to the south but this seems to have passed by us. We go to bed about 9:30 pm. About 2:30 am it starts to sprinkle so I get up and put away a few things we left out (table, Australian flag). It is relatively light for an hour but then much heavier. As far as we recall, it rains all up for three hours. Even though it rained for three hours last night, there is not that much water around. We get up at 7:30 am and I go and have a wash in the river (well, a splash). We have breakfast and then pack up. We leave at 9:00 am. 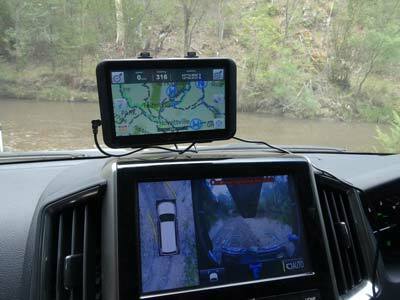 We continue on Selwyn Creek Road, having decided to not follow the exact trip in our book which follows the river for a bit further. The road we are on seems to be a bit better. 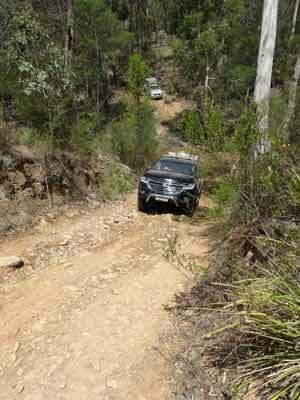 We then go onto Twins Jeep Track which leads to the Great Alpine Road. The road is a little wet in spots, but not slippery at all. 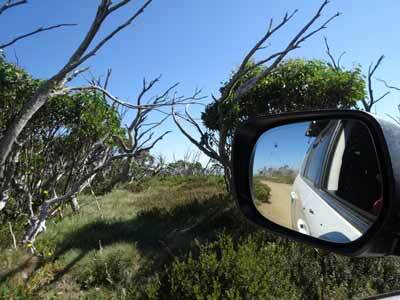 Fourteen kilometres from Beveridges, we come to the intersection with the Mount Murray Track. As we are a bit ahead of schedule and the road better than expected, we decide to go to Mount Murray. The car park is 2.3 kilometres from the intersection. It is a steep climb up, but not too bad. We stop in the car park, it is quite cool as the southerly wind is blowing a bit. 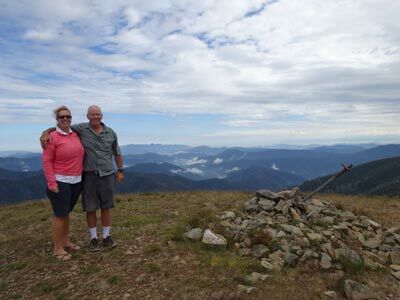 We walk to the summit of Mount Murray, only about five minutes away. Wow, what views! We are 1640 metres up. 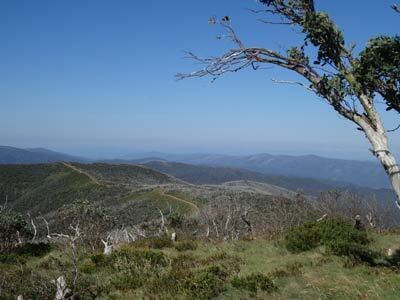 You can see in every direction, including over to Mount Hotham. We spend a few minutes here before heading back to the cars. Once back, we head back down the track to the Twins Jeep Track. We continue on towards the Twins. The track here is a lot narrower and rougher than yesterday's track. Even said, it is still not a bad track. As we approach the Twins, the road wraps around the side of the valley. We can see another car ahead of us, way over the other side of the valley. At 11:15 am we arrive at the Great Alpine Road. This is the same road we came off yesterday. We have travelled 31 kilometres this morning. 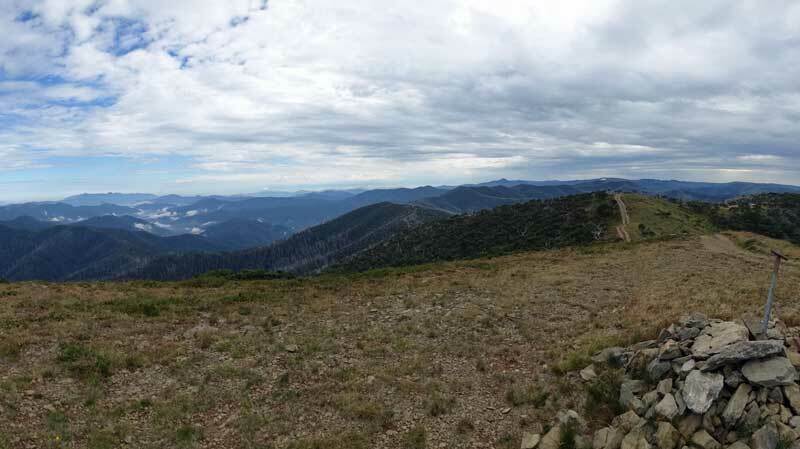 From here it is a short run to Mount Hotham ski resort. However, we basically turn onto the road and straight off again after about 20 metres. 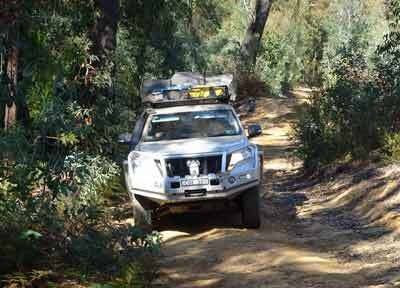 We are now on the Dargo High Plains Road heading to Dargo. This is an excellent dirt road, you can sit on about 50 to 60 for the first 10 kilometres and then 60 to 80 km/h. We pass the Blue Rag Range Track which of course we have been on a couple of times. We come to the intersection with McMillan Road which leads to Talbotville and where we are heading after lunch. We head into Dargo, arriving there at 12:30 pm, taking 75 minutes to travel the 69 kilometres from the Great Alpine Road. 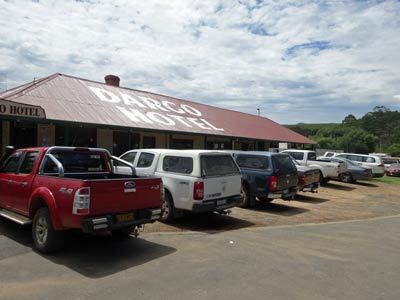 Gerard and Aidan are already here, we park next to their car and go into the Dargo Hotel. I have a beer as we catch up. The pub is packed, with little room in the dining area. After the beer we go back to the cars and make our lunch. After we are finished, Kelly goes over to the shop to buy something for dessert tonight as it is Aidan's 11th birthday. We leave at 1:15 pm and drive back along the way we came in and then down McMillans Road. We first head to Grant, one of the many old gold mining towns that were in the area. There is little left, only the remains of the roads, a few foundations and some retaining walls. 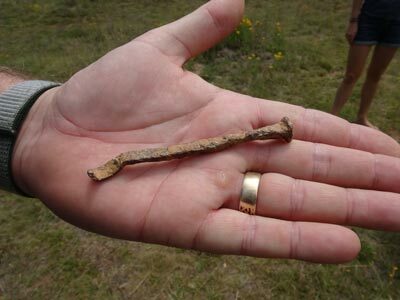 Aidan finds a very old handmade nail. We only stop for 15 minutes. We are back on the road at 2:00 pm. It is much warmer now, 29C. We take the alternative route into the Crooked River valley. The Bulltown Spur Track is both longer, steeper and much harder. Some sections of the descent are low range, the first time we have used it on the Sahara. The car handles it all very easily. For both Gary and Gerard, this is the hardest track they have ever been on, so we need to talk them through some of the spots. Once at the bottom of the valley, we follow the Crooked River to the south. All along the river there are the remains of gold mines. We stop and look at one. We also notice that the river is very brown, probably from the rain last night. We have to cross the river 23 times before we get to Talbotville. The crossings are shallow, but a couple of the entries and exits are hard. For one I have to use low range as there is a large rock to get over. The traction control works perfectly. There is another mine along here. Last time we walked up to it. However, we do not have enough time to do this today. We stop and cut some more wood for tonight's fire. The further we go down the river the cleaner the water is. By the time we get to Talbotville, the water is clean. There is not a huge crowd here, unlike the last two times we were here. We thought that it might not be too busy as school goes back on Monday and most people would need to get back today from holidays to get ready. At 3:35 pm we arrive at Talbotville. We have averaged just over 10 km/h (including one stop) since Grant. We decide to set up camp at the southern end of the main camping area, just pass the main crossing. Here we have a table and good access to the river. Once we have established our camps, we go for a swim (well, another lie down really as it is very shallow here). The water is much warmer here than yesterday. We then have sundowners and collect some very small twigs and pieces of timber for our barbecue tonight. We are using our Biji BBQ and this works best with very thin pieces of wood. We have t-bone steaks and sausages with salad. After dinner we sit around the fire. It was mostly clear earlier, but later it clouds over. There has been thunder and lightning to the south and east, but we get none over us. We go to bed at 10:00 pm. It was a little cooler last night. We get up at 7:10 am and have breakfast. The nearest group to us was very loud last night, we have no idea what time they finally shut up and went to bed, but it was well after midnight. Why to people have to be so inconsiderate? We have a fair way to go today, including a large section on a track that it almost totally new to us and we do not know what to expect. We head off at 8:35 am, travelling out via the main road in, McMillan Road. 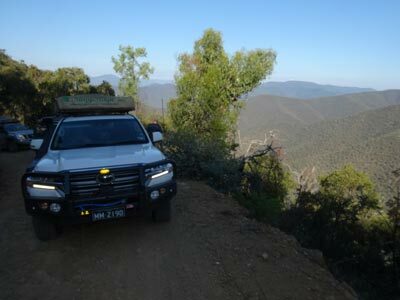 We go back past Grant and onto the Dargo High Plains Road. 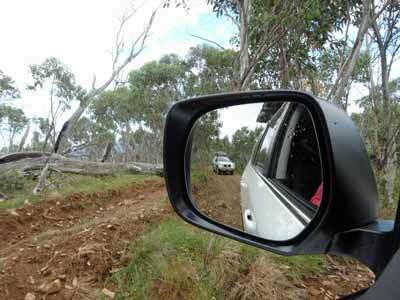 At Upper Dargo Road we turn left and then follow the Dargo River. 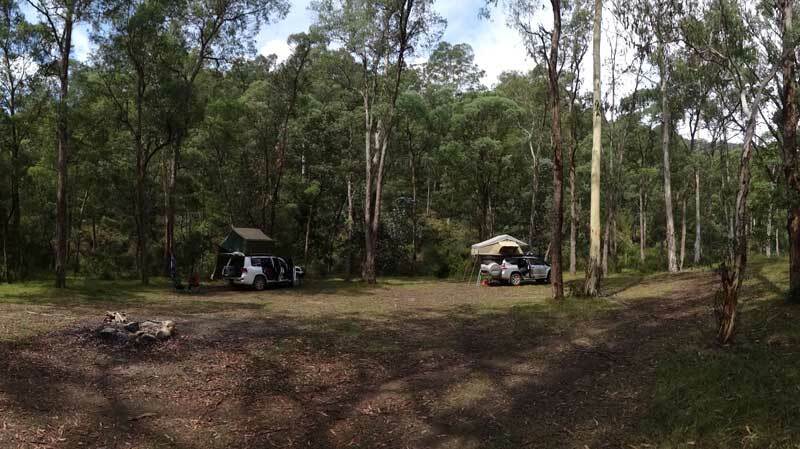 We pass numerous camping areas. There are at least six formal and a few informal spots along the river, all are excellent. We take a wrong turn at one spot, it is hard following the trip notes in reverse. 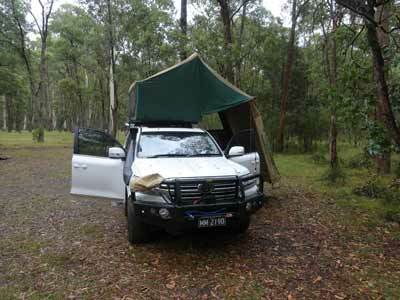 We arrive at Collins Flat, the last of the camping areas, at 10:10 am. 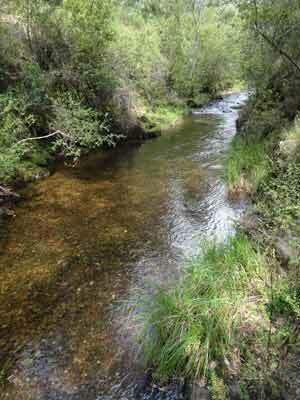 From here we cross the Dargo River, it is shallow. However, once we are over, we think that perhaps we have again taken the wrong track, as this track (Stock Route Track) is very steep. We have to use low range quite a few times. It is the right track, even though it does not follow what is shown on our maps. The track is also quite overgrown in spots, it is clear not too many people use it. At 10:35 we arrive at the top of the climb. We are now on Birregun Road, the same road that we mistakenly took earlier. This is a much better road, so we have a good run along it. Twenty minutes later we are on top of Mount Birregun which is only a short distance off the road. It is 1370 metres high. There is a telecommunication tower and building here as well as a helicopter landing site. There are not 360 degree views, but there are nice views to the north and east. We have morning tea here and then leave at 11:10 am. 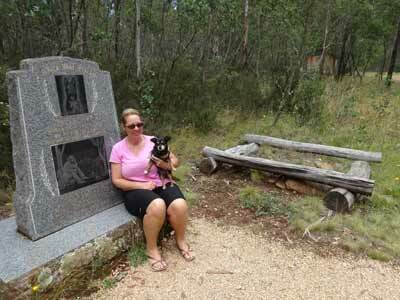 Eight kilometres along we arrive at the Dogs Grave at 11:25 am. 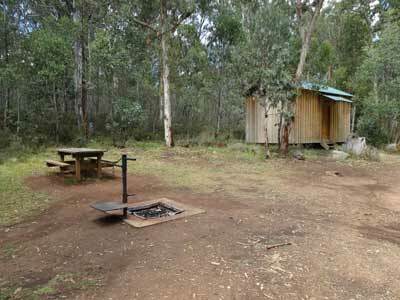 There is a hut and camping area here too, the hut, toilet and table are new. It is quite nice. The Dogs Grave is a monument commemorating a dog (there are a couple of different stories with different names) which died after eating a poisoned bait and was buried here. This was in the 1860s. Which ever story is true, it is a nice monument. We only stop for a few minutes. As mentioned, we have a long way to go today. We continue along the route, taking a few different tracks, including Parslow Track, Mount Delusional Road, Powers Valley Track. There are some steep sections on this last track and you also cross over the remains of the Jirnkee Water Race. This earth walled "canal" was 90 kilometres long and the longest in the southern hemisphere. We are now in the Cassilis Historic Area. At Tonglo West we go to the King Cassilis Mine. This mine was established in the late 1890s. It seems it might have closed at one time and reopened again in the 1950s for a short while. 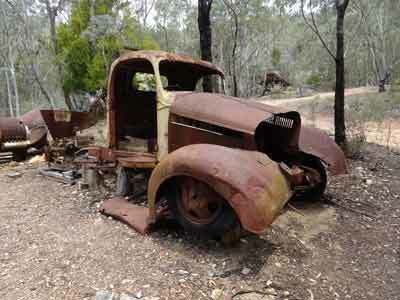 There is a huge amount of machinery left here, including cars, trucks and all the normal gold mining equipment. While we are here, we have lunch and walk around. 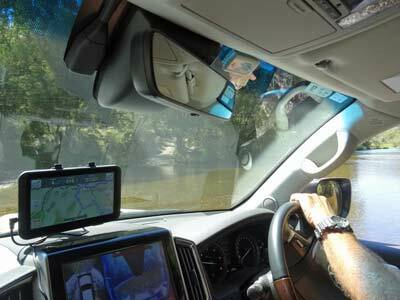 We leave at 1:30 pm and head via Cassilis Road to the Great Alpine Road and then to Omeo arriving at 2:00 pm. Here we refuel (64.3 litres at $1.49 - 19.6 l/100 km for the past 328 kilometres). We leave about 10 minutes later (with an ice cream). It is a hot day! We head north out of town and take the Benambra Road to Benambra and then just as you enter town, we turn right into Limestone Road. 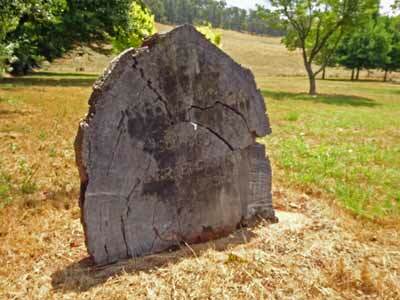 We follow this to Beloka Road (16 kilometres from Benambra) and then take this north. We pass by Buenba Flat where we camped in late 2007. Our fall back if we were running late was to again camp here. 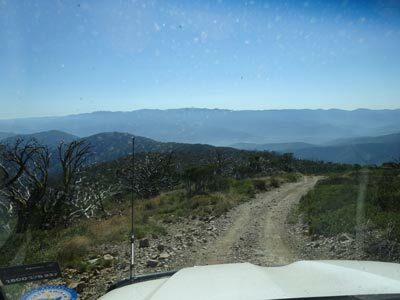 We continue on, climbing up a few hundred metres to Smiths Logging Road (some maps/guides call it Beloka Road or Buenba Logging Road). We stop and cut some timber for tonight's fire and continue on. 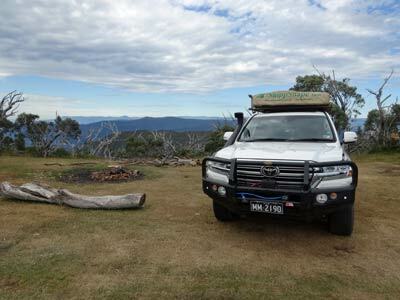 We come to the intersection with Mount Gibbo Track, Wild Boar Track and Buenba Log Road. It was an interesting section of forest and we ended up back on Wheelers Creek Logging Road after taking Paddy Joy Track across from Wild Boar Logging Track. The tracks were in pretty good condition. We arrive at Wheelers Creek Hut at 4:05 pm. There is no-one else here, so we set up camp near the hut. The others go really close to the hut but Kelly and I set up down lower. We start the fire as we are having a roast dinner tonight. Then a few of us to to Wheelers Creek to have a swim. It is only a few minutes walk across the bridge and under it. There is an excellent swimming hole here. It is cool, perhaps 20ºC. Gerard and I have a beer as we swim, nice. There is a little rain around now but it soon passes. We have sundowners sitting on the hut's verandah, all the while stoking the fire. We put on a turkey roast and Gerard does a lamb roast and Gary a beef roast. We also cook vegetables. It takes about 75 minutes to cook. By now there are lots of flies around, so we set up our dining area inside the hut on its table. We have a great meal, sharing the meats as normal. After dinner, we sit around the fire and relax some more. We go to bed at 10 pm. We get up at 7:10 am as we have a long way to go today. We have breakfast and then leave at 8:30 am. 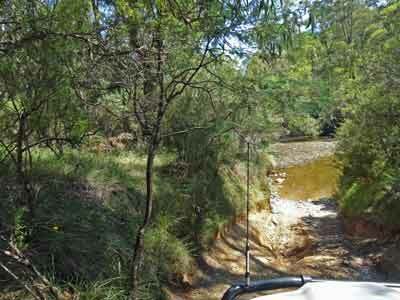 We turn right just over the bridge onto Cattlemans Creek Track. About 9 kilometres on we come to an intersection where we again make a mistake. The problem is that all the maps, guides and actual sign posts conflict in most places we end up visiting. The road we come to is variously called Marginal Road or Dunstans Road. We should turn right, but we go left. We end up travelling for over an hour when it should have taken 45 minutes or so and 18 kilometres (we do 29). Anyway, we end up at Mount Pinnibar at 9:35 am (we should have taken Dunstans/Marginal Road and then Walkers Road). 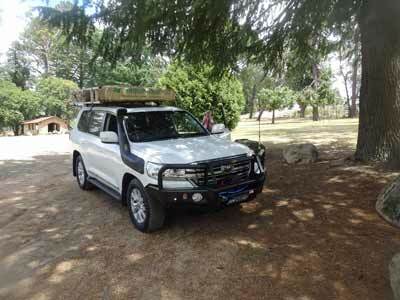 The last six kilometres up Walkers Road are very steep and rough, but the new LandCruiser handles it easily. 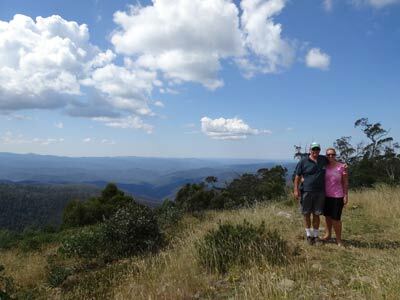 The view up here is fantastic, it is 1772 metres and you have views for 360 degrees. It is quite cool as there is a wind blowing. We stop here for about 15 minutes before heading off again. This time we take the correct track! 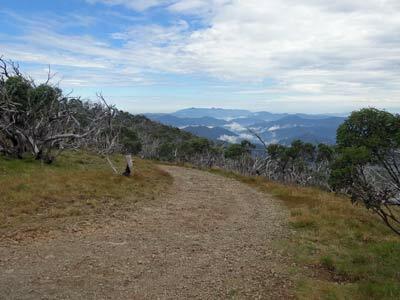 This is the Mount Pinnibar Track. We are heading for Tom Groggin. We head down the very steep track, using the crawl control a little to test it out. Works a treat. We pass by the spot where in 2011 the Prado did a rear suspension rubber in and we had to make emergency repairs using duct tape. We lose Gary at one spot near the bottom, but soon find him via the radio. We stop near the Murray River crossing and have morning tea. 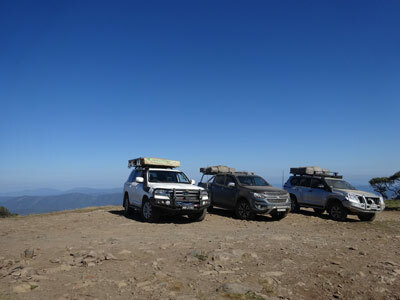 It is 11:10 am and we have taken 80 minutes to travel the 25 kilometres from the summit of Mount Pinnibar. While here, we notice that the Davies Plain Track is closed due to erosion. Hopefully national parks will fix it soon. We have a look at the river while we have our morning tea. The hardest part is going to be the section of track down to the water's edge, it is very chewed up and a bit wet. 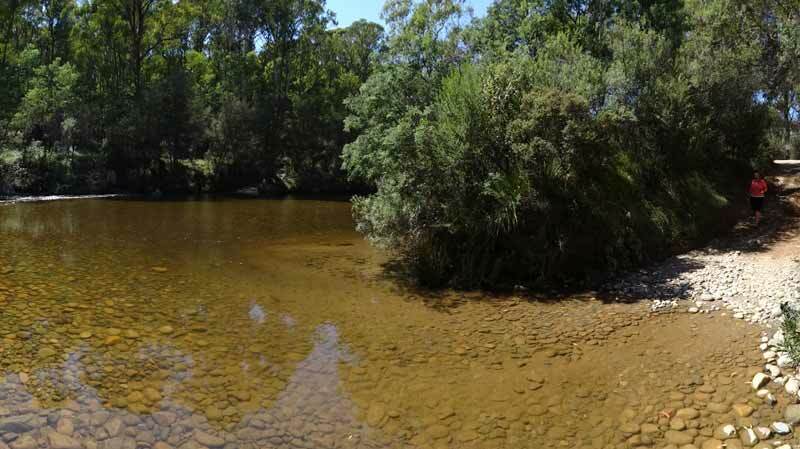 The water level in the river (the border between New South Wales and Victoria) is very low, much lower than the previous two times we have crossed here. Of course, as I have the most experience, I go first. It is a little tricky going down to the water, we do not want to slip sideways and hit the side of the cutting. All goes well and we are soon across in NSW. The others have have watched my line and they soon follow, all goes well. We leave at 11:35 am and head south on the Alpine Way. When we get to Jindabyne at 12:30 pm, Gerard keeps going as he has a medical appointment at Cooma so that Aidan can have a lot of stitches removed. He had a bad BMX crash a bit over a week ago and needs them out now. 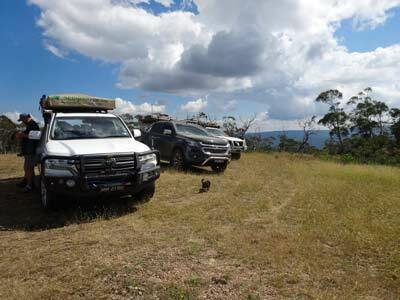 They are not heading home today, but doing some more exploring between Cooma and the coast over the coming days. Gary and us stop in Jindabyne to have lunch. There is a very nice park near the bowling club which is a great spot. We have lunch and then head off. From here we mostly do not keep together. We have a couple of rest breaks at Queanbeyan and Picton Road and arrive home at 6:20 pm. A pretty good run. Apart from fuel and food costs, we did not spent anything on accommodation. We did 1606 kilometres. The fuel cost was $323.77 in total, with an average of 14.6 litres per 100 kilometres used,. This was excellent considering the very slow going for the best part of two days, maximum speeds on the highway. It was also over one litre per hundred lower than the last similar trip we did down here in the Prado. Well worth doing, but it would have been better to have extra day or two.